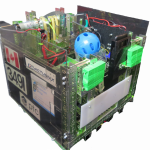 There’s lots of information and help available for FIRST Tech Challenge teams, everything from FTC event results to Preparing for Competitions. MTI is the largest, international, FTC off-season tournament in the world! Winning teams receive grants to go towards their continuation in the FTC program. Find out what Outreach events are coming up sign up to volunteer. Let us know if there are more resources you’d like added to this page, or you can contact us if you have any questions.